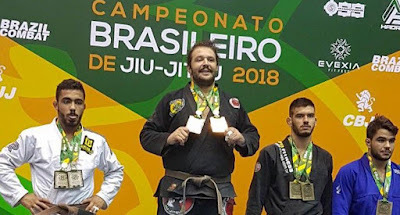 One of the most underrated athletes in the Brazilian circuit today is rising ultra-heavyweight brown belt Eduardo Lopes of Guigo Jiu-Jitsu, commonly known as Duzao, who is also a proficient judo black belt and active judoka in São Paulo’s competition circuit. 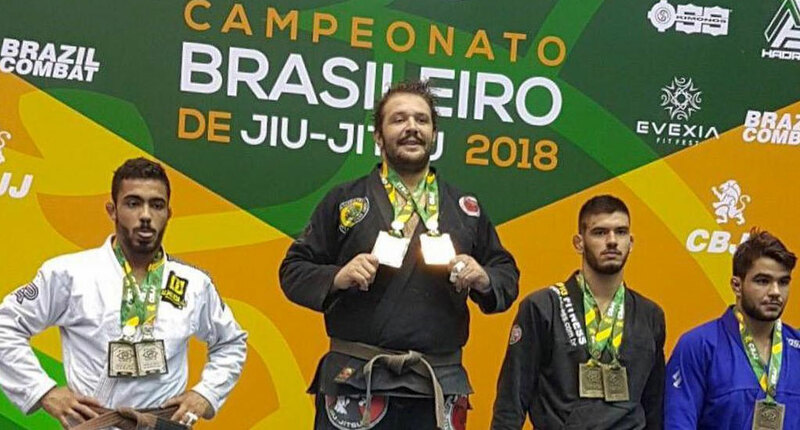 The former blue belt IBJJF World Champion (2016 weight and absolute) and purple belt World bronze medalist (2017 weight and absolute) is aiming for the stars this year at brown belt, having signed on to the Brazilian National last weekend with the intent of gaining mat miles ahead of the big show, which happens later this month. 7 matches later Duzao came out with double gold, winning both his weight and the absolute finals by submission. Solid takedowns (Duzao scored the important 2 on every match in his weight class) and having also added an appetite for the submission as of late, Lopes is a clear threat to the gold medal at the Worlds, so expect him to bring in the heat at the Walter Pyramid.